A 45 year old man with a lifelong history of recreational sun exposure presents for a full skin cancer check. During the examination a mole is noted on the left shin. He thinks that this may have recently appeared and changed. 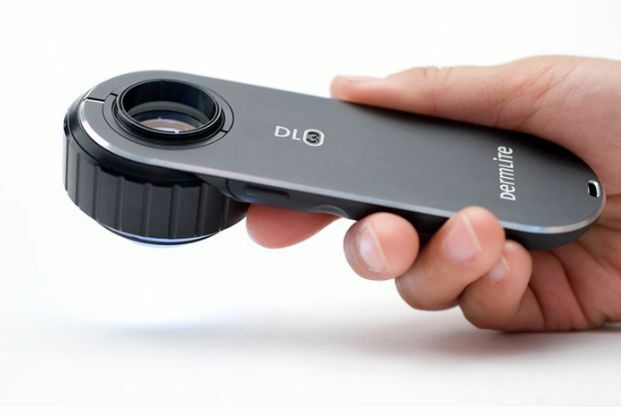 Using a dermatoscope, an irregular pattern as noted and excision (removal) is arranged. The mole is removed under local anaesthetic and sent for examination by an experienced pathologist. 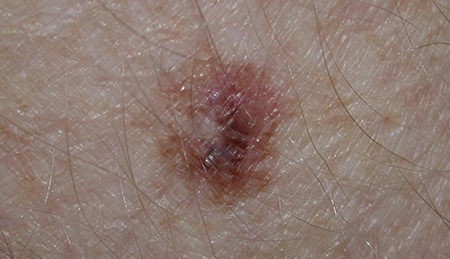 The report shows that this is a melanoma in situ. This is the earliest stage of melanoma development and although a wider re-excision will be needed, he can be reassured that this mole has been removed at a very early stage and he can be very confident that there will be no spread elsewhere. If diagnosis had been delayed, there is a high chance that this would have developed into an invasive melanoma with the potential to spread into lymph nodes and become life-threatening. Patients with melanoma are higher risk of further skin cancer and he will be placed on a regular automated reminder by email text or a letter depending on his preference.